The Executive Forum is designed to provide the wealth of knowledge and experience of inspirational leaders and executives from a wide variety of businesses and industries. The speakers present a brief overview of their businesses, as well as specific professional experiences, followed by a discussion of key issues facing their industries in the current business and economic climate. The College of Business offers this program to our MBA students every Thursday. This program is for currently enrolled FAU MBA students. If you would like to attend, you must RSVP in advance. Naren served as the President and Chief Executive Officer of The ADT Corporation since 2012 until May 2016. Mr. Gursahaney served as the President ADT North American Residential and Small Business Security Segment at ADT Corp. Her served as the President of ADT Worldwide of Tyco Fire & Security LLC and ADT Security Services Inc since 2007. He served as the President of Tyco Security Solutions at Tyco International Ltd. from 2007-2012. Mr. Gursahaney served as the President of Tyco Engineerred Products and Services since 2006 as well as President of Tyco Flow Control since 2005. He served as the Vice President of Operational Excellence of Tyco International from 2003-2006. He served as the Senior Vice President of Operational Excellence of Tyco International until 2006. He worked at General Electric Company where he served as the Chief Executive Officer and President of GE Medical Systems in Asia and the Pacific. He held a number of positions during his 10 year career at GE. In his most recent position as head of GE MEdical Systems in Asia-Pacific region, he was responsible for growing revenues and operating margins by 15% in 2001. He served as the Chief Information Officer of GE Medical Systems and Vice President of Service at GE Medical Systems-Asia. As an executive in GE's corporate offices in Fairfield, CT Mr. Gursahaney supported the Vice Chairman of GE in the rollout and implementation of key corporate initatives such as Six Sigma, in GE's international operations. He served for over four years at Booz Allen and Hamilton in Cleveland, OH. He served as an Engineer at Westinghouse Electric Corporation. He served as a Director for ADT LLC. He has been a Director for NextERa Energy since 2014. He serves on several Penn State advisory boards and was honored in 2009 with the Outstanding Engineering Alumni Award from the College of Engineering. Mr. Gursahaney holds an MBA in general management from the University of Virginia, Darden School and a Bachelor of Science in mechanical engineering from Pennsylvania State University. In 2015, Naren was honored as the Business Leader of the Year by FAU's College of Business. Ryan Lee currently serves as Chief Operating Officer for West Boca Medical Center where he is responsible for the day-to-day operations of the hospital and for providing management oversight for the development of new clinical initiatives. 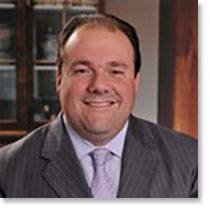 Coming from South Carolina, Lee began his tenure at Tenet Healthcare in 2013 as the director of physician services at Coastal Carolina Hospital. From there, he was promoted to associate administrator where he made a noteworthy impact in several key areas. He was involved with a number of crucial growth and development projects, including the expansion of the Women’s Pavilion, the addition of the MRI suite and the renovation of the Operating Room. Lee also played a lead role in the construction of the hospital’s new Observation Suite and Cardiac Rehabilitation Unit. Lee is a 2016 graduate of the Tenet Leadership Academy, a 15-month senior leader development program that brings together a small class of high-potential clinicians, administrators and corporate office employees. 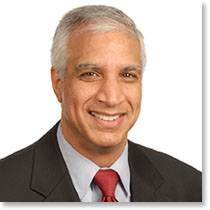 He is also a member of the American College of Healthcare Executives. Lee received his Master in Health Administration from the Medical University of South Carolina and his Bachelor of Science in Business Administration from Clemson University. Ryan and his wife, Stephanie, reside in Coral Springs, FL with their 2 year old daughter and newborn son. Peter F. Striano lll, joined Northwestern Mutual in 1992 as the agency’s first college agent. He signed his full-time contract after a successful college career in December of 1993. He has held the titles of College Agent, Special Agent, College Unit Director, Field Director, Managing Director and was appointed to Managing Partner in January of 2008. The Striano Financial Group began with two District Offices and 51 Financial Representatives and a near negative under five year fact sheet. As of today, they have six District Offices in addition to the Network Office, 135 plus Financial Representatives with 30 Directors, and their under five FYC’s have consistently been in the Top 10. The Striano Financial Group has won numerous management awards for delivering quality service to their policy holders. They have won the growth award and achievement award every year they have been eligible- which has amounted to the last five years, each being in category 1. Pete and his team consistently beat their recruiting targets each year by achieving 50% in five and 100% in ten. Pete is married to Aline and they have two beautiful children. Pete is very active in local community activities, as well as charities. Pete’s philosophy is to find humor in everything in life and there is nothing funnier than a typical day as a Managing Partner. In 2016, Pete received the FAU Distinguished Alumni award from the College of Business. September 14, 2017 - Rescheduled due to Hurricane Irma. Jerri DeVard has more than 30 years of extensive marketing and leadership experience at large global brands. She is Principal of DeVard Marketing Group, a firm specializing in advertising, branding and communications, as well as traditional, digital, and multicultural marketing. She is currently serving on the board of directors of ServiceMaster, a service company providing millions of commercial and residential customers in the U.S. and around the world with such services as housecleaning, termite and pest control, and landscape maintenance, the board of directors of Under Armour Inc., the global athletic performance and innovation brand that changed the way athletes dress and on the board of directors of cars.com, a leading online destination that helps car shoppers and owners navigate every turn of car ownership with one of the largest digital automotive platforms connecting consumers with local dealers across the country anytime, anywhere. 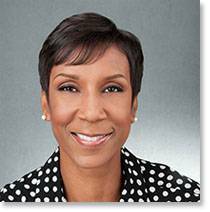 She has previously served on the boards of Belk, Gurwitch Products, Tommy Hilfiger and on the advisory board of Pepsico. Most recently, she served as SVP, Chief Marketing Officer of The ADT Corporation, a leading provider of home and business security services. Prior to that, Jerri served as Executive Vice President of Marketing for Nokia. Additionally, she held senior marketing roles at Verizon Communications, Citibank, Revlon, Harrah’s Entertainment, the NFL’s Minnesota Vikings and the Pillsbury Company. Jerri is an Economics graduate of Spelman College, where she also recently served as a member of the Board of Trustees from 2005 to 2014, and received her MBA from Clark Atlanta University Graduate School of Business. Jeremy Ring was raised in Massachusetts and upon graduating from high school he attended Syracuse University, where he received his degree from the Newhouse Communications School in 1992. Mr. Ring moved to New York City, and at the age of 25 was hired as the first outside sales executive for Yahoo. He opened the New York office and first satellite office for Yahoo. As the original sales executive hired by the company, he was instrumental in growing sales to over $1 billion in just five years. 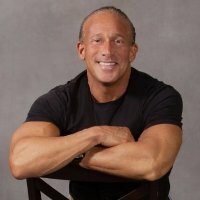 Mr. Ring, having relocated to Silicon Valley launched and led the Programs Team, working with Global Fortune 500 businesses on their internet marketing strategies. In doing so, he was a pioneer in development and growth of the online advertising industry. Following Yahoo, Mr. Ring co-founded Collegiate Images, which was a joint venture with Collegiate Licensing Corp. and later IMG Worldwide. The Company was acquired in 2008 by XOS Technologies, Inc. Collegiate Images serves as the centralized licensing and rights clearance agency that manages the distribution of copyrighted intellectual property content, focusing exclusively on college sports. Partners include premier collegiate athletic programs, collegiate conferences, bowl games, and national and regional sports networks. In the Florida Senate, Senator Ring has past served as the Vice Chairman of the Higher Education Appropriations Committee and the Higher Education Policy Committee. From 2009 – 2016, Mr. Ring served as the Chairman of the Governmental Accountability and Oversight committee, which has legislative oversight of the Florida Pension Fund, the State Board of Administration and other government entities in the State of Florida. Governor Charlie Crist, appointed him as the Chairman of the Statewide Committee of Bio-technology Competitiveness. Senator Ring has sponsored and passed several major bills designed to commercialize and secure capital for IP developed within the State University System. Mr. Ring has created the Florida Institute of Commercialization, which acts as a business incubator to innovations developed at Florida’s State Universities, the Florida Technology Seed Capital Fund, for early stage investing, The Florida Opportunity Fund, which serves as the first round of institutional investment and the Florida Growth Fund, which provides later stage capital investment. Senator Ring, first book, We Were Yahoo (Post Hill Press) is scheduled to be released on December 5, 2017. The book tells the story of the rise and fall of Yahoo and how the fall led directly to the rise of Google and Facebook. Pre-sell orders will be available on Amazon.Com in September 2017. Sam Coghill is entering her second season with the Miami Dolphins and first as vice president of human resources and performance management. Reporting directly to Dolphins President & CEO Tom Garfinkel, Coghill leads the department responsible for curating a high-performance culture with heart through talent evaluation and development, as well as establishing processes that incent, measure and drive performance. Prior to her current role, Coghill drove revenue through corporate partnerships for Chicago-based W Partners, the Chicago Cubs and Atlanta Braves. She also worked in Minor League Baseball, including time with the Buffalo Bison and Indianapolis Indians and the NHL’s Atlanta Thrashers. Coghill is a graduate of Indiana University Bloomington with a degree in kinesiology - sport communication. She resides in Parkland with her husband, Jeff Carr, and their two children, Halle and Hunter. Durée Ross is president of successful Fort Lauderdale PR firm Durée & Company, which she founded in 1999. An award-winning PR entrepreneur with a broad spectrum of experience spanning the corporate, agency and non-profit arenas for local, national and international clients, Durée is also an avid community advocate in the South Florida area. Born, raised and now raising a family of her own in South Florida, Durée has inherent talent and a keen understanding of the local marketplace, identifying marketing opportunities, and developing relationships with media representatives. She has created and implemented numerous inventive public relations and marketing campaigns for an extensive client roster. Demonstrating range and flexibility, Durée has secured publicity for clients as diverse as Dr Pepper, Coldwell Banker Residential Real Estate, BRIO Tuscan Grille and BRAVO Cucina Italiana, Broward Health, Feeding South Florida, Riverwalk Arts & Entertainment District, Rising Tide Car Wash social enterprise, Special Needs Group, Inc., Boys & Girls Clubs of Miami-Dade, and many more. She is also a valued PR, marketing and special events expert/speaker, and has served on a range of marketing panels. Durée & Company is a member of PR Boutiques International™ (PRBI), an international network of boutique PR firms founded by people who put client service first. The firm was selected as a member of the Forbes Agency Council, an invitation-only organization for executives in successful public relations, media strategy, creative and advertising agencies, in 2016. Prior to the launch of her own firm, Durée honed her skills with DindyCo PR & Marketing; and at Best Buddies International, a non-profit organization founded and operated by Anthony Kennedy Shriver. She also worked at Zynyx Marketing Communications, which became The Nixon Group and is now part of the GolinHarris family. An avid community advocate, Durée is a proud Circle of Red member for the American Heart Association (AHA), a current Circle of Red member and the Circle of Red Chair for the 2012 Go Red for Women Broward County (Fla.) campaign. She is also a member of the Broward Women’s Alliance, United Way of Broward County’s Envision United group and United Way of Broward County Women United, and the Ghost Light Society at the Broward Center for the Performing Arts. Additionally, she is a member of the Diamond Angels of Joe DiMaggio Children’s Hospital Foundation committee. She served on the host committee for the Broward Public Library Foundation’s 2017 LitLUNCH! with “The Pie Life: A Guilt-Free Recipe for Success and Satisfaction” author Samantha Ettus, and 2016 LitLUNCH! with “The Princess Diaries” author Meg Cabot. Durée volunteers her time and PR expertise to a number of non-profit organizations, including Debbie’s Dream Foundation: Curing Stomach Cancer, Fort Lauderdale/Broward Chapter of the Association of Fundraising Professionals (AFP) Annual National Philanthropy Day Awards, and MADD. In May 2013, she was honored as one of 100 Outstanding Women of Broward County by Boys & Girls Clubs of Broward County. In 2012, she was part of the team that helped the Boys & Girls Clubs of Miami-Dade win a BizBash Top 100 event of the year award for its “Wild About Kids” annual gala. In 2011, she was presented with an Excellence in Communications award from Debbie’s Dream Foundation: Curing Stomach Cancer for her valued pro bono work. A University of Miami graduate with a double major in broadcast journalism and sociology, Durée presently resides in Fort Lauderdale with her husband, son and daughter. Michael Allison was named Executive Vice President and Chief Administrative Officer for Office Depot, Inc. in March 2017. 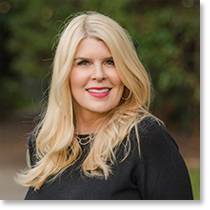 In this role, Allison is responsible for all Human Resources functions, Communications, Events, IT, Loss Prevention, Real Estate, Construction and Aviation. 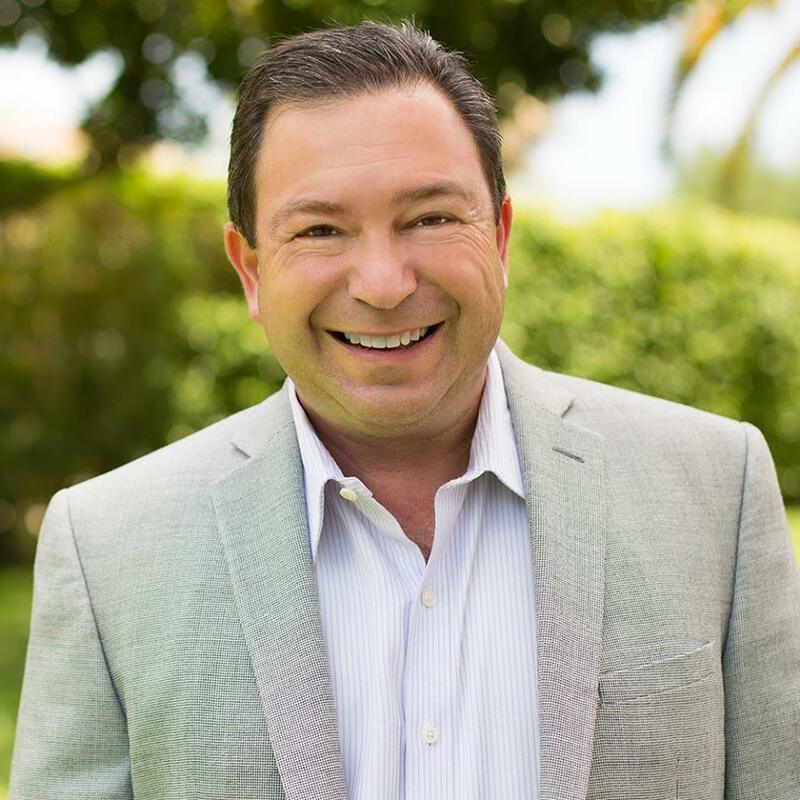 Previously, Allison served as Executive Vice President, Human Resources and Chief People Officer for Office Depot, where he developed HR teams that were integral in the overall success of the business by driving performance. 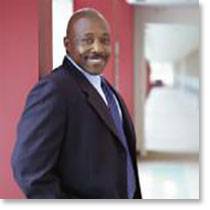 He joined Office Depot in 2006 as Vice President, Human Resources. Prior to Office Depot, Allison served as Executive Vice President of Human Resources for Victoria’s Secret Direct. Before joining Victoria’s Secret, he was Senior Vice President of Human Resources for Bank One and Senior Vice President of Human Resources for National City Bank, both in Dayton, Ohio. 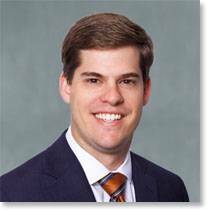 Allison began his career as a practicing attorney specializing in Labor and Employment Law. A native of Cleveland, Ohio, he graduated in 1979 from John Carroll University and received his law degree in 1982 from The Ohio State University College of Law. 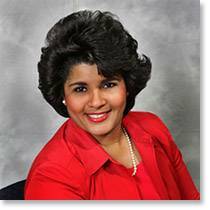 Ethel Williams, a native of West Palm Beach, received her bachelor of science degree in business administration from George Washington University, Washington D.C. and a juris doctorate degree from Nova Southeastern University in 1996. While completing her law school curriculum, she studied in Paris, France and Cambridge, England through the Tulane Institute of International Studies. She was also an editor of the International Law Journal while attending Nova Southeastern University. Prior to joining FPL, she was the principal and owner of The Law Office of Isaacs Williams, P.A. Her primary practice areas were real estate, zoning and land use, public finance, governmental relations, probate, and wills and trust. Her tenure as a practicing attorney also included partner and shareholder in the firm of Hicks, Richards and Isaacs (Riviera Beach and Orlando); associate attorney at the law firms of McCrary & Mosley (Miami); Casey, Ciklin, et al. (West Palm Beach); and contract attorney for AT&T Wireless of Florida, (North Palm Beach). Currently, she serves on the board of directors of the Boca Raton Chamber of Commerce, the Greater Boynton Beach Chamber of Commerce, Sunfest, Inc, and is a member of Executive Women of the Palm Beaches. Her leadership in community organizations include president of The West Palm Beach Chapter of The Links, Inc.; founding president of The West Palm Beach Chapter of The National Coalition of 100 Black Women, Inc. (NCBW); as well as a founding board member of FoundCare, Inc.
Williams is a Diamond-Life Member of Delta Sigma Theta Sorority, long-time member of the National Bar Association, Palm Beach County Bar Association, Cunningham Bar Association, and the Ebony Chorale of the Palm Beaches. In her spare time she enjoys singing, traveling, sports and is an avid supporter and enthusiast of the arts. Clara Bennett is the Executive Director of the Boca Raton Airport Authority, where she leads a team of dedicated aviation professionals in the business, operations, marketing and development of the Boca Raton Airport (BCT). Bennett has more than 26 years of experience as an airport executive. Prior to joining the Boca Raton Airport in 2014, she served as Manager of Fort Lauderdale Executive Airport (FXE), directing the operation of the Executive Airport, the 200-acre Airport Industrial Airpark, the Downtown Helistop, and Foreign Trade-Zone #241. As Executive Director of the Boca Raton Airport, Ms. Bennett has developed a $30 million 5-year Capital Improvement Plan to enhance facilities and services available to the flying public, including the much-anticipated US Customs and Border Protection Facility slated to open in fall 2017. Ms. Bennett is a licensed pilot and holds a Bachelor of Science degree in Aviation Management from Florida Institute of Technology and a Master of Business Administration from Florida Atlantic University. 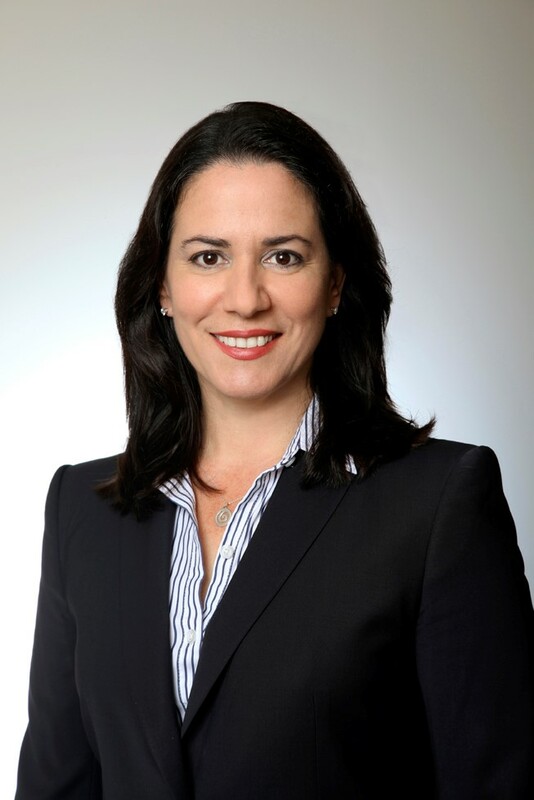 She also maintains several professional affiliations including serving as past President of the Florida Airports Council and is a current member of the Board of Directors of the National Air Transportation Association (NATA), the US Contract Tower Policy Board, and the Board of Directors of the Boca Raton Chamber of Commerce. Jordan Zimmerman is Founder, Chairman and architect of the Zimmerman Advertising Empire, one of the top 10 largest advertising agencies in the world with published billings in excess of $3 billion. Jordan founded his company in 1984 working tirelessly, personifying an insane commitment to be the best. Jordan trademarked his own term, “Brandtailing®”- a maverick combination of long-term brand building and short-term sales boosting that delivers measurable results. This methodology became well known throughout the advertising industry and is the hallmark of Jordan Zimmerman’s success. Jordan Zimmerman is known as “Advertising’s Bad Boy” and his list of winning clients is a “who’s who” of the retail world. His is the firm that is behind such great brands as ADT, Advance America, Atlantis, Aubio, AutoNation, Ashley Furniture, Boston Market, Carfax, CBS, Chico’s, Chuck E. Cheese, Consolidated Credit, City Furniture, Dish Network, Dunkin’ Donuts, Encore, Extended Stay America, Firehouse Subs, five Below, FlexShopper, The Florida Panthers, The Fresh Market, hhgregg, Jamba Juice, Kanes, Lane Bryant, La-Z-Boy, Lennar, Lids, Logan’s Roadhouse, Lucky Brand, Miami Grill, Michaels, Modell’s, Office Depot, Papa John’s, Party City, Pep Boys, Pure Barre, Nissan, Saks Fifth Avenue, Smokey Bones, Soma, The Room Place, Tire Kingdom, Toys”R”Us, Virgin Mobile, White Castle, White House Black Market, and many more. The list is long and impressive, and ever growing. Highly respected within the advertising world, Jordan is often asked to address industry groups and participate in panel discussions across the country. In May 2013, Jordan delivered the Mirren New Business Conference keynote speech, opening the two-day marketing and advertising industry meeting in New York City. February of 2015 saw Jordan as a keynote speaker for the Cleveland Clinic Florida Leading in Healthcare conference. He, along with Jack Welch, former Chairman and CEO of GE, shared their styles on company growth and leadership in today’s fast paced, social and digital environment. In 2017, Jordan was the commencement speaker for the Masters and graduate students at Nova Southeastern University and was awarded his honorary doctorate degree in Business Administration. Jordan has been featured numerous times in South Florida CEO Magazine, where he continues to make the list of the “One Hundred Most Powerful People in South Florida.” The first man to grace the cover of Simply the Best magazine in June 2016, Jordan shares his perspective from the top. Two years prior, he was featured as the October 2014 cover story for South Florida Business and Wealth magazine. Jordan received the 2013 FAU Business Leader of the Year Award from the College of Business and had the distinguished honor of being named the Ernst & Young Entrepreneur Of The Year®, receiving the 2012 Award in the Corporate Innovator Category. That same year, Jordan received the Greater Fort Lauderdale Alliance CEO Council Economic Development Leadership Award. April of 2015 brought perhaps the most prestigious honor that any American could ever dream of being awarded. Jordan Zimmerman was one of twelve individuals inducted into the Horatio Alger Association of Distinguished Americans. This tremendous honor is bestowed upon individuals who triumphed over adversity in their lives and achieved success despite obstacles placed in front of them. In April of 2016, Jordan was selected as a Laureate for Junior Achievement of South Florida, recognizing his remarkable philanthropy in the South Florida community. Recently, Jordan was selected to receive the OPAL Award from the Rotary Club of Boca Raton, which recognizes and honors individuals who have invested their time, talent and resources in the success of Boca Raton. The remarkable lifelong contributions of the OPAL Award recipients have made the Boca community a better place to live, work and play. Zimmerman’s alma mater, the University of South Florida, named him USF Entrepreneur of the Year in 1991. In 2007, he was again honored with the University of South Florida Distinguished Alumnus Award. Furthermore, in 2013, Jordan was named one of USF’s Fast 56, the 56 fastest growing “Bull-owned” or “Bull-run” businesses in Florida. Through The Jordan Zimmerman Family Foundation, he generously supports the University of South Florida and its unrivaled Zimmerman Advertising Program (ZAP), a specialized program that he founded and continues to support. The curriculum is wide ranging and advertising focused as ZAP is housed in The Zimmerman School of Advertising and Mass Communications and the Muma College of Business at USF. Students live together and study together in the ZAP Living Learning Community. The building and the program are Jordan’s legacy, as together they evidence his passion for his alma mater, his industry and education. Jordan has the distinguished honor of having been appointed, by former Governor Charlie Crist, to serve on the USF Board of Trustees and was recently reappointed by Governor Rick Scott to serve another 5-year term as a USF Trustee. In his local community, Jordan is serving his second 6-year term as a Trustee for Pine Crest School where he built the Zimmerman Family Athletic Complex. His recent gift to the School’s endowment built and continues to fund The Zimmerman Family Innovation and Technology Institute and the Zimmerman Family Innovation and Technology Program at Pine Crest School. The specialized program, housed in the Zimmerman iLabs, harnesses student-driven creative collaboration in a genuine and committed culture of innovation. Pine Crest School is one of only two independent schools in the country with dedicated iLabs supporting an evolving modern curriculum designed around STEM core. In 2004, Jordan was one of ten people selected to receive the South Florida Business Journal’s Diamond Award. In 2006, he received the Florence Fuller Child Development Center’s “Biggest Heart” Award. Other honors include the prestigious 2008 Entrepreneur Hall of Fame Award from the H. Wayne Huizenga School of Business and Entrepreneurship, Nova Southeastern University, and the 2008 University of South Florida’s Kappa Tau Alpha Hall of Fame Award recognizing outstanding leadership in the field of mass communication and journalism in the State of Florida. Jordan believes strongly in philanthropy and giving back to the greater community. He is a Golden Circle Member of the National MS Society and he supports Cleveland Clinic Florida, Make-A-Wish Foundation, Jack & Jill Children’s Center, Take Stock in Children, Junior Achievement of South Florida, American Heart Association, American Cancer Society, Boca Raton Regional Hospital, Kids In Distress, Pine Crest School, Congregation B’nai Israel, The Florida Council of 100, Museum of Discovery & Science, The Greater Fort Lauderdale Alliance CEO Council, City of Fort Lauderdale, Boys & Girls Clubs of Broward County, Joe DiMaggio Children’s Hospital, the Florida Council on Economic Education, Nova Southeastern University, Boston University, University of South Florida, Florida Atlantic University College of Business, St. Baldrick’s Foundation and the United Way of Palm Beach County.